For the first time, a Kenyan film won the most coveted Best Overall Movie category at the Africa Movies Viewers' Choice Awards. 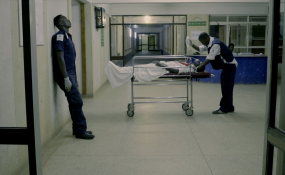 18 Hours, a movie about a rookie paramedic who survives 18 hours in an ambulance for the life of a road accident casualty who is denied admission into hospital edges out 'Alter Ego', 'Descent' 'The Torture', 'Devil's Chest' and 'Road to Sunrise'. Nollywood actress Omotola Jalade-Ekeinde also clinched her first AMVCA in the Best Actress in a Lead Role in Movie category,while Jade Osiberu smiled home with the award for Best Director for her movie 'Isoken'. It was a great achievement for a feature directorial debut. Isoken was on song again in the Best Movie in West Africa category. Ghanaian actor Adjetey Anang however took home the AMVCA trophy for Best Actor in Leading Role. He was nominated twice in the category. Kenya's emergence at the top sends a strong signal to acclaimed African filmmakers from Nigeria and South Africa that the East African country is coming on strong. With over 3000 entries received at this year's edition, the competition is getting keener. Other winners of the night were prolific filmmaker Tunde Kelani, who was awarded the Industry Merit Award, Falz, Odunlade Adekola among others.